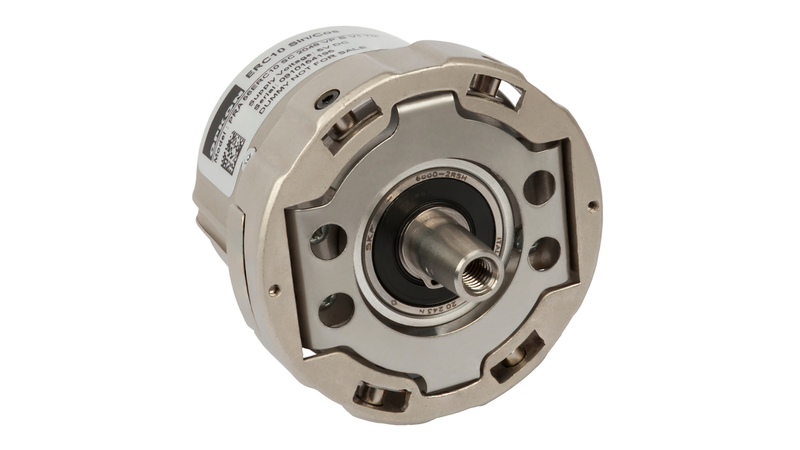 ERC 10 is our feedback encoder for synchronous gearless motors with BISS, SSI interface This absolute encoder offers 13 bit rotor feedback data. ERC 10 is also available with sine-wave output with commutation signals. Both models have rigid shaft coupling and re very easy to install.